The food safety in catering training courses ​have three different levels - 2, 3 and 4. If you are not sure which level you require then contact our team for help. It is estimated that 1 in 10 of us could be subject to food borne illnesses each year, resulting in a huge drain on NHS resources and thousands of working days lost; not to mention potentially life threatening effect on the individuals concerned. 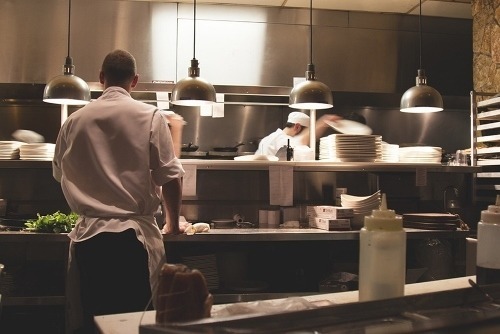 Working with people 1st (the sector skills council for catering and hospitality) and Ofqual, the Royal Society for Public Health has developed a tailored set of food safety qualifications to meet the precise needs of employers in the catering and hospitality sector. What levels are available and what do they cover? The level 2 award in Food Safety in catering is appropriate for anyone who needs a basic understanding of food safety in a catering environment. It focuses on the importance of hygiene, the food handlers legal responsibilities and their role in monitoring food safety procedures, and how to handle, prepare and process food safely. The level 3 award in supervising food safety in catering is designed for those who are supervisors of food handlers in catering. It includes compliance with food safety regulation implementation of food safety management procedures, controlling hazards and supervising good practice in the work place.